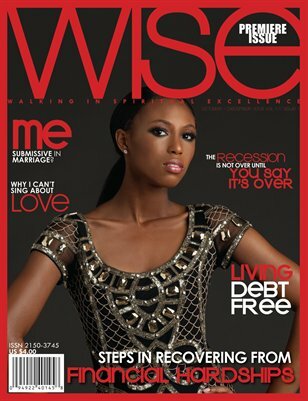 In this month issue of WISE read the lifestyles of families, and individuals that walk in spiritual in excellence. It is very difficult to live a lifestyle pleasing to God with all of the temptations of the world. But, these articles share their story on how they succeed every day. Other articles this issue includes: Transforming Secular Youth into an Godly Adult, Me, Submit in Marriage, Living Debt Free, Living the Lifestyle of a Single Godly Man, Steps to Recovering from Financial Hardship, and The Lifestyle of a GODly Family.